The only Indian state with a female Gross Enrolment Ratio at college level of around 41 percent, which is nearly double that of its closest contender, has under eight women running for the 17th Lok Sabha. It currently has 10 percent women in the 16th Lok Sabha — a statistic that is now impossible to achieve at the hustings on 18 April. The ruling combine of the AIADMK, BJP and their numerous allies fields a grand total of two women for the upcoming election. 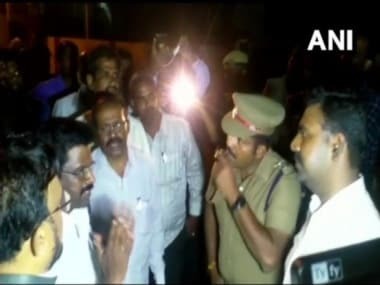 Maragatham, sitting MP of Kancheepuram (SC), a veteran of Standing Committees, who rose up from elected Union positions, from the AIADMK and Tamilisai Sounderarajan, state BJP president, locked against Kanizmohi of the DMK in Thoothukkudi. The DMK-Congress alliance fielded just three women — two from the DMK, of which one is Rajya Sabha MP Kanimozhi, running from the charged Thoothukudi constituency and the other, Thamizhachi Thangapandian contesting from the rich, urbane Chennai South seat. The Congress fields Jothimani Sennimalai, former national general secretary of the Youth Congress and erstwhile councillor, from Karur. The rebel TTV Dinakaran-led, Amma Makkal Munnetra Kazhagam has two women running. Charubala Thondiaman, former Mayor of Tiruchirapalli and a well-known politician in that Parliamentary seat. The other, AS Ponnuthayi, former union chairman of Rajapalayam, fights the Tenkasi (SC) seat. The abysmal numbers are only shored up to 7.9 percent thanks to the small, noisy Tamil nationalist party, Naam Tamilar Katchi which is fielding 50 percent women candidates this season, impressively educated, and from diverse, challenging, backgrounds. Kaliammal, a fisherwoman with an MBA is fighting for Chennai North, educators and social activists who protested the Chennai-Salem highway, Sterlite, Jallikattu and Koodankulam, Prakalatha and Seethalakshmi are braving it in Vizhuppuram and Erode respectively. That makes more seats a contest between more than just a solo woman against an array of men candidates. NTK's campaign discourse has an explicitly vocalised theme of women's political power, in stark contrast to the established regional and national parties, the message of which oscillates predictably between the foibles of the the other and the glory of their own. Kamal Hassan's Makkal Needhi Maiam is debuting with just two women, Kamala Nasser in Chennai Central, and bike racer and social activist Mookambika Rathinam, in Pollachi, who was one of the early informants behind the recent horrific sexual assault revelations. In addition to the women contestants from the DMK and AJ Sherin of the NTK, who is pursuing her PhD, Chennai South has a transgender contestant, Radha alias Ramanujam in the fray. The Bahujan Samaj Party of Mayawati has Essakkiammal running in Tirunelveli, its lone woman face. 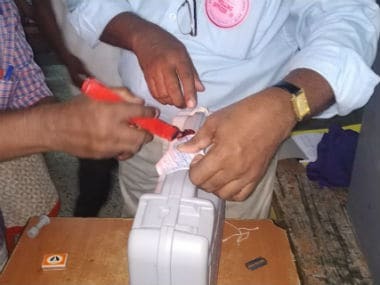 The sum total including Independents is 67 women and 845 men contesting for the 39 Lok Sabha seats, as per Form 7 issued by the Election Commission, amounting to under eight percent women candidates on the ballot. What's noteworthy is that 10 of the 39 seats offer zero choices for women's representation, not even Independents. The feminisation of Tamil Nadu politics is the juggernaut that is its female voters. This is a state where women voters shaped recent political history by voting en bloc for J Jayalalithaa, the former chief minister. Women voters now outnumber men in 35 of 39 constituencies, but the electoral discourse has little to do with gender-balanced governance policies. 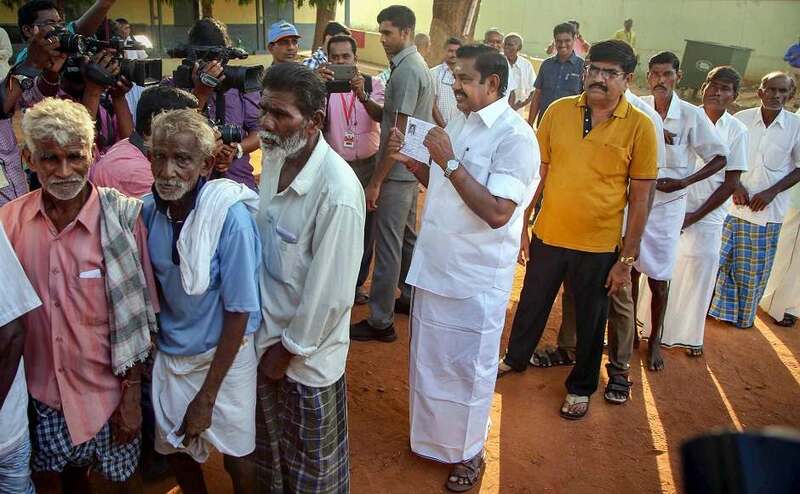 Purely from the perspective of larger parties — those with a greater likelihood of garnering wins, the electoral contestation politics of Tamil Nadu is no more feminised than before. It is one party, call it an anomaly or beacon, the NTK with barely one to two percent of the vote, that has buoyed the trajectory of the women candidates in this iteration. 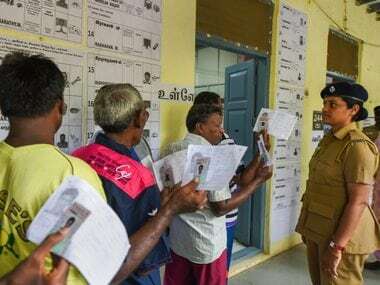 It is unclear if even four women will get elected from Tamil Nadu to the Lower House of Parliament this time, as with the 16th Lok Sabha. 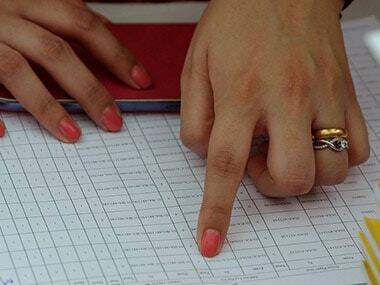 Instead, it may be as low as one, or two, jarring with the remarkable progress in Tamil Nadu's female HDI. Periyar's radical feminism with its legions of female participants, never was adopted by the Dravidian parties, as seen in the data. As per their inputs to consecutive elections, the champions of social justice have reserved political justice for men alone. It merits mention that improving women's political representation, is in equal measure, working on party men to dismantle patriarchal attitudes, norms and structures. After all, representative outcomes cannot exceed unrepresentative inputs.